-Please note that all times are subject to change (and likely will change). On Tuesday, June 27 and Wednesday, June 28, expect the first group to take the ice at 8:15 a.m., the second group to take the ice at 9:30 a.m. and the third group to take the ice at 10:45 a.m. The order is likely to be the forwards, followed by the defensemen, and then the goaltenders. On Thursday, June 29, the forwards are expected to head out 15 minutes earlier at 8:00 a.m. There are also likely to be 5:00 p.m. sessions this week, but again, these are all subject to change. As of now there is a scrimmage scheduled for 8:00 a.m. Friday morning. Did I mention this is all subject to change? 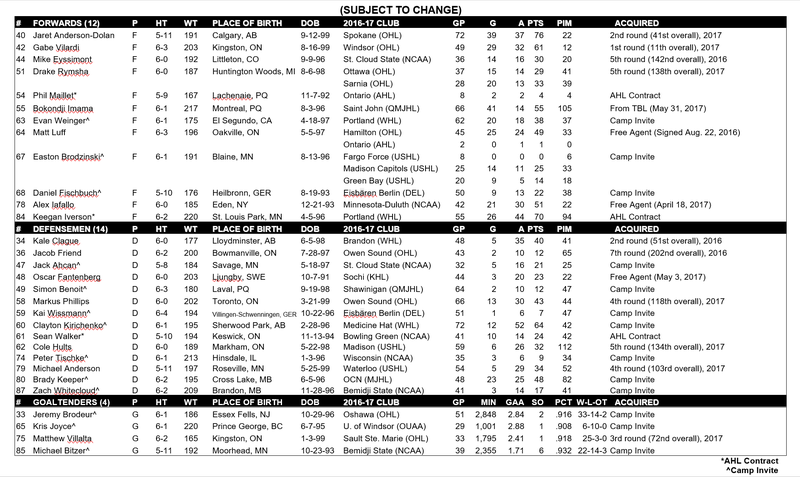 -Because this is development camp, and not training camp, development camp serves as the only opportunity for the Kings’ NCAA-based prospects to take part in a Kings-led camp prior to signing an entry-level contract. So, for Mikey Eyssimont (St. Cloud State), Cole Hults (Penn State commit) and Mikey Anderson (Minnesota-Duluth commit), this is likely your only opportunity to see them in person before next year’s development camp. -Speaking of the invites, there are a few interesting names. Easton Brodzinski is Jonny’s brother (as well as the brother of Michael, a San Jose prospect) and will be the latest in the Brodzinski clan to suit up for St. Cloud, where he will matriculate in the fall. Keegan Iverson, who was signed by the AHL’s Ontario Reign, is a Twin Cities native drafted by the New York Rangers in the third round in 2014 but did not sign with the club and attended training camp with the Minnesota Wild last year. He was a huge prospect at the time he committed to WHL-Portland out of a Minneapolis-area high school and totaled 80 goals and 190 points over 293 WHL games. 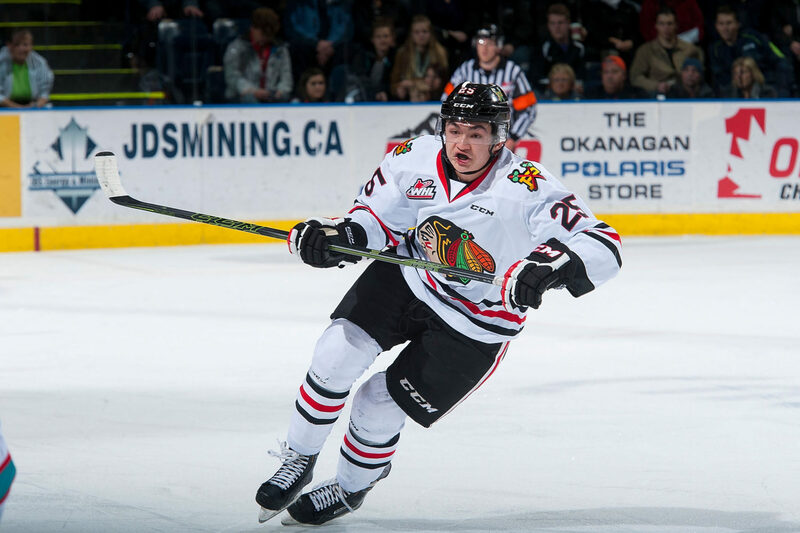 In 2016-17, his fifth season with the club, he served as the Winterhawks’ captain. Though he’s signed to an AHL contract, that also carries the possibility of an ECHL assignment, and after a little bit of digging, I’m still not sure who owns his ECHL rights. (I do know it’s not Manchester.) And, hey! One of the three invited goalies is Jeremy Brodeur, who, yes, is Marty’s son. 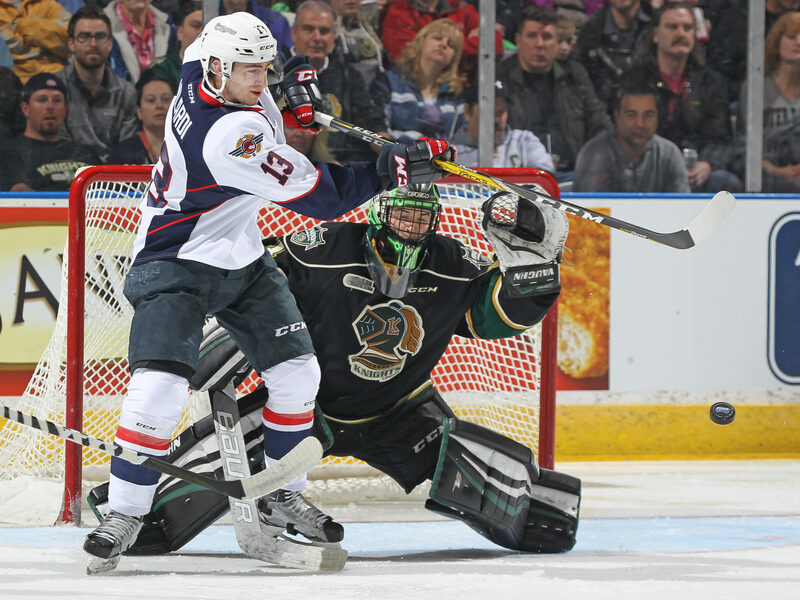 An OHL and Memorial Cup champion as a back-up goalie with Oshawa in 2014-15, Brodeur’s ECHL rights are owned by Toledo. -On the subject of goaltending, Matthew Bitzer, another camp invite, is slightly diminutive but certainly worth keeping an eye on. A second team CoSIDA at-large Academic All-American, the 5-foot-11 goalie was a Hobey Baker Award finalist as a junior in 2016-17 – Bemidji State’s first Hobey Baker finalist since Joel Otto in 1984 – and the WCHA’s Player of the Year. His 1.40 goals-against average through 27 league games set a WCHA record, while his .940 in-conference save percentage was the second best mark in the history of the WCHA. He was a first team All-WCHA goalie who maintained a 3.81 grade point average as an exercise science major and made the WCHA’s all-academic team. -Brady Keeper, a University of Maine commit, was the MJHL’s MVP as a 20-year-old in 2016-17. The defenseman posted 52 goals and 133 points in 161 games played with MJHL-OCN. OCN, a Junior A team based out of The Pas, Manitoba, stands for (and is owned by) Opaskwayak Cree Nation. “Brady is a fast skating, quick thinking offensive defencemen who plays with an edge and isn’t afraid of the dirty areas,” an OCN release states. 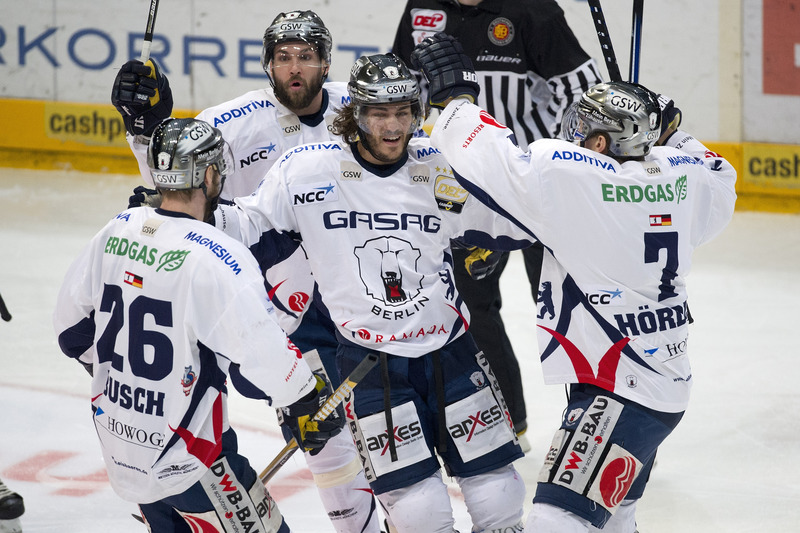 -As the Kings are now overseeing all “administrative matters” for Eisbaren Berlin and will be taking a more active of a role in development and on-ice matters, two Polar Bears will take part in this year’s camp. This will be the third development camp for Kai Wissman, the 6-foot-4 defenseman who will turn 21 in October. The Pats’ biggest wildcard is Wagner, who’s under contract to the Los Angeles Kings. He’s expected to join their AHL affiliate but those plans could be delayed by a serious shoulder injury. UPDATE, 7:45 p.m. Monday: Moverare, Spencer Watson and Chaz Reddekopp are working with a power skating coach and won’t take part in camp.